Bednar, whom most Avalanche fans had never heard of until recently, is a minor league lifer. He’s never played or coached in the NHL, so it’s understandable that most Avalanche fans were left scratching their heads. That isn’t an indictment on the coach or the hire; he’s just a huge unknown. It’s also quite the deviation from Sakic’s last head coaching hire. As a head coach, Bednar has put together an impressive résumé. Behind the bench he’s never had a losing season and he’s won two championships – one in the ECHL, and last season he led Cleveland to a Calder Cup. Bednar is considered an up-and-coming coach in hockey circles. 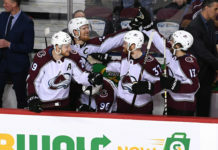 Only time will tell if he’s the next Peter Laviolette, a coach who successfully made the jump from the AHL, or the next Joe Sacco, who has not had a head coaching job in the NHL since missing the playoffs for three straight years with the Avs. There is one thing that’s clear: Bednar has no easy task ahead of him. Outside of delivering wins (more on that in a second), Bednar has the huge undertaking of winning over a fan base. Not only is he somewhat (that’s putting it lightly) unknown in these parts, he’s also taking over for one of the franchise’s greatest players and a guy beloved in this town. Patrick Roy’s personality has also resonated in Denver. He’s brash, fiery, outspoken and this town loves him for it. As a player, Avalanche fans loved watching him challenge opposing goalies to a fight. They loved it even more when he challenged opposing coaches to a fight as a coach. Roy has never been scared to say what he thinks, nor does he mince his words. To say Bednar has big shoes to fill would be an understatement. Winning will help everyone forget about Roy in a hurry and that’s going to be Bednar’s biggest test. Can he finally help this young core realize their potential? Colorado has a young core, sure, but it’s a core with no shortage of experience. 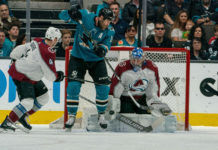 Nathan Mackinnon is entering his fourth NHL season, Gabriel Landeskog and Tyson Barrie are entering their sixth, Matt Duchene his eighth and Erik Johnson is working on a decade in the league. Oh how time flies. These are veteran players and age can only be an excuse for underachieving for so long. 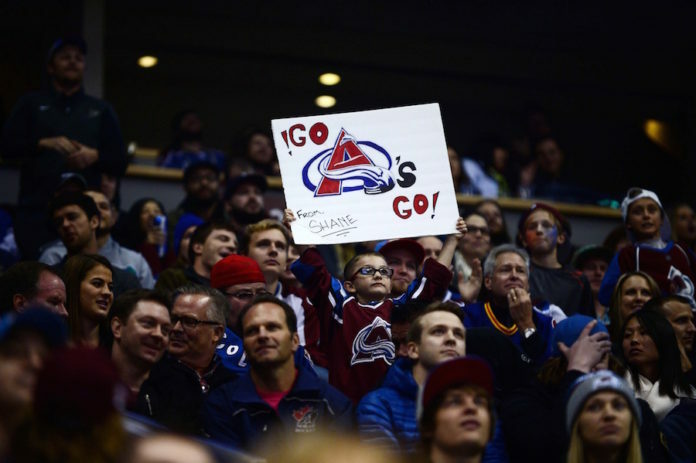 No longer can the Colorado Avalanche write off lackluster play to age. John Tavares and Victor Hedman (both taken right before Duchene) don’t get that excuse. Neither does Ryan Nugent-Hopkins (drafted right before Landeskog), Seth Jones or Jonathan Drouin (both drafted after MacKinnon). Tavares, Hedman and Drouin all played in the playoffs at a high level for teams that got past the first round (Drouin after being demoted to the AHL). Jones was traded because of his slow development and the Oilers are expecting the world from Nugent-Hopkins, an All-star last season, this season or else. It’ll be Bednar’s job to start holding Landeskog, Duchene and MacKinnon accountable respective to their draft positions. This team also no longer gets a pass for a playoff run that happened three years ago. Don’t get it twisted; this is not the same team that won the division in Roy’s rookie coaching campaign. Four of the top ten scorers on that team are gone and the play they got in net from Semyon Varlamov that season appears to be an aberration, not the norm. So where does that leave Colorado? Some think they should break this thing apart and rebuild (this possibly includes the coach that just walked). Sakic doesn’t believe that to be true, but nonetheless there was an obvious schism in Colorado’s front office. Roy had a hand in buying the groceries and cooking the meal. He no longer felt like there was a decent meal to be made with the groceries the franchise was buying and wanted to start shopping again. Sakic felt the opposite. That impasse now puts a ton of pressure on the guy cooking the meal, Bednar. Sakic feels like he has the ingredients and it’s on a coach to pull it all together. That’s a heavy burden to place on a coach making his NHL debut. Jared Bednar may turn out to be a great hire or he may fall flat on his face. The truth is, no one knows because there isn’t a large enough sample size to levy an opinion. Only time will tell. That said, between the void Roy left, on and off the ice, and making highly drafted players finally reach their potential, there’s no denying Bednar has a huge task ahead of him.